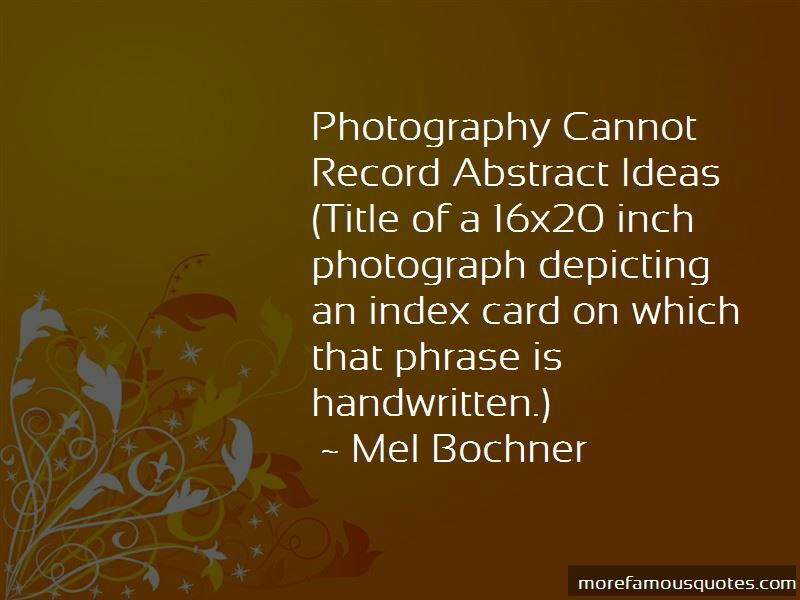 Enjoy the top 3 famous quotes, sayings and quotations by Mel Bochner. 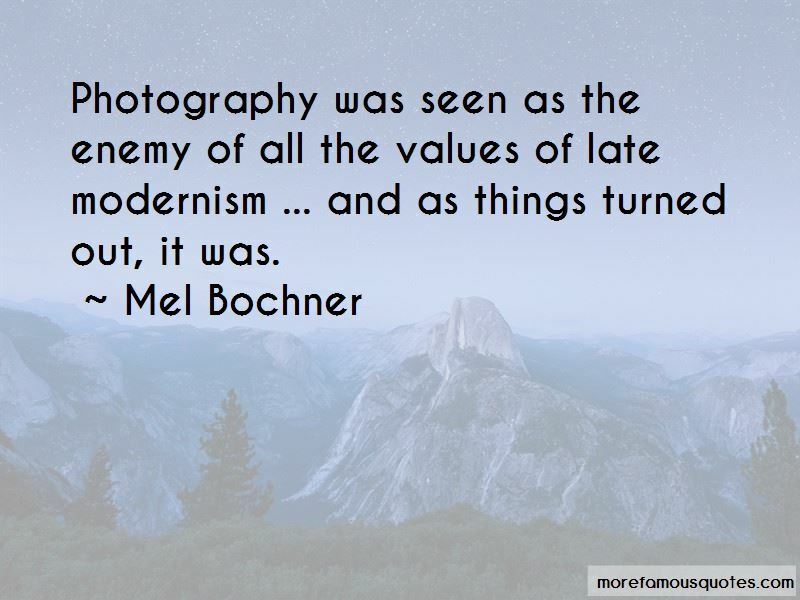 Photography was seen as the enemy of all the values of late modernism ... and as things turned out, it was. Want to see more pictures of Mel Bochner quotes? 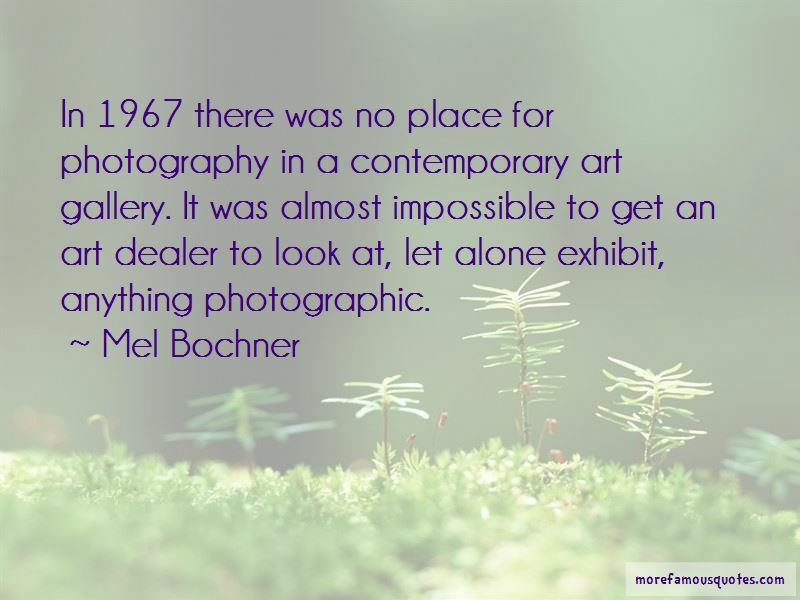 Click on image of Mel Bochner quotes to view full size.